Finding a litter of newborn kittens in early May is unfortunately not at all unusual. But finding six newborns tucked into the engine of a car—after it’s been driven 25 miles—all safe and sound but very hungry might be a new twist on the story. And the story takes another interesting rescue twist even after that. The young woman in whose car they’d been stashed had parked her car at the Pittsburgh International Airport, with its huge parking lots and surrounding open land, for about 12 hours, then driven home. Hearing the mewing the next morning she asked her father to help find where and what it was coming from. He dug through the engine and found and carefully extracted the six kittens, still with their umbilical cords attached. 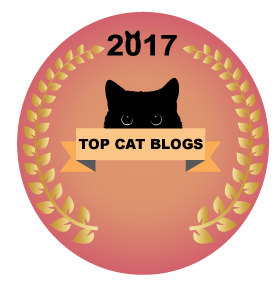 She had no idea when or how the kittens had been deposited there but a cold front with heavy rains and even hail and high winds had passed through that day and possibly a mother cat found a warm car engine to be a safe and dry nest for her kittens in the airport parking lot. The young woman and her father decided to take the six squeaky kittens to their local shelter, the Beaver County Humane Society (BCHS), and surrender them for care. A little pile of rescued kittens. It’s a marvel the kittens were not hurt in the car engine, and it seemed likely none fell out. “The woman drove from the Pittsburgh Airport to Beaver Falls and had no idea the babies were even in there until she heard the next morning,” said Shannon O’Neill, BCHS Shelter Manager, who explained that was a 26 minute drive, and a total of 24.3 miles. 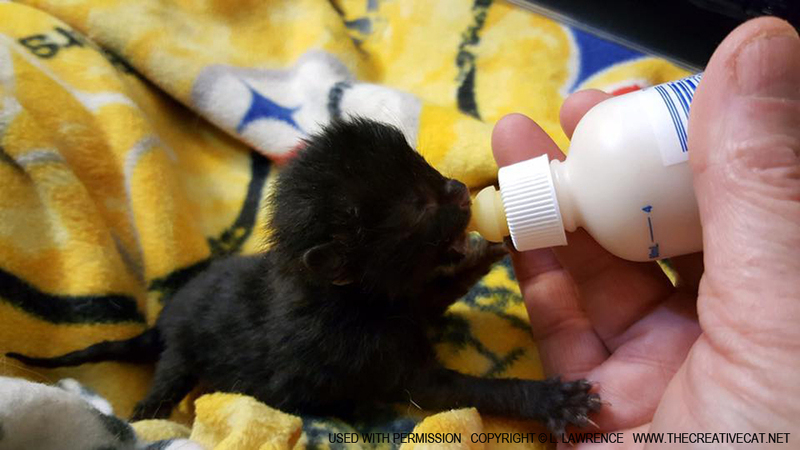 Kittens with an umbilical cord still attached are likely less than one week old, and at that age they are helpless and eat every two hours. These kittens had gone several hours without food already. 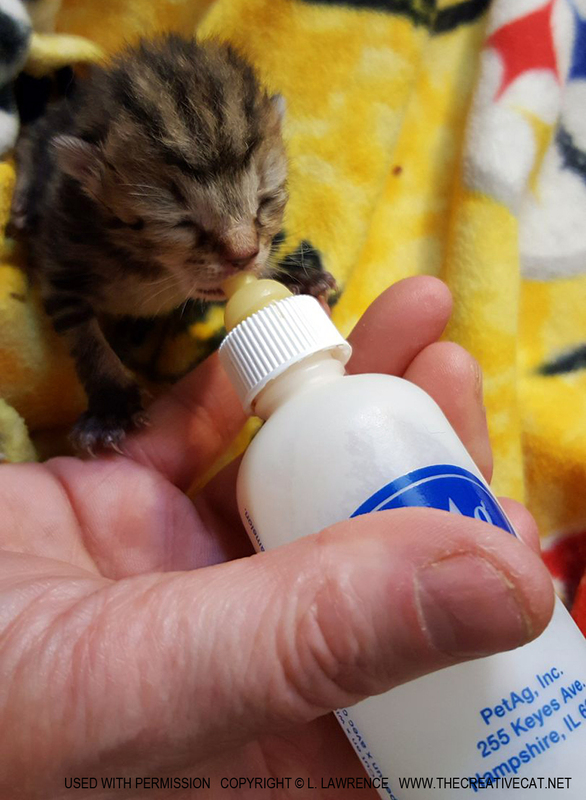 “They were tiny kittens,” Shannon continued, meaning they were even smaller than neonatal kittens typically are, “but they were feisty.” And they needed food. 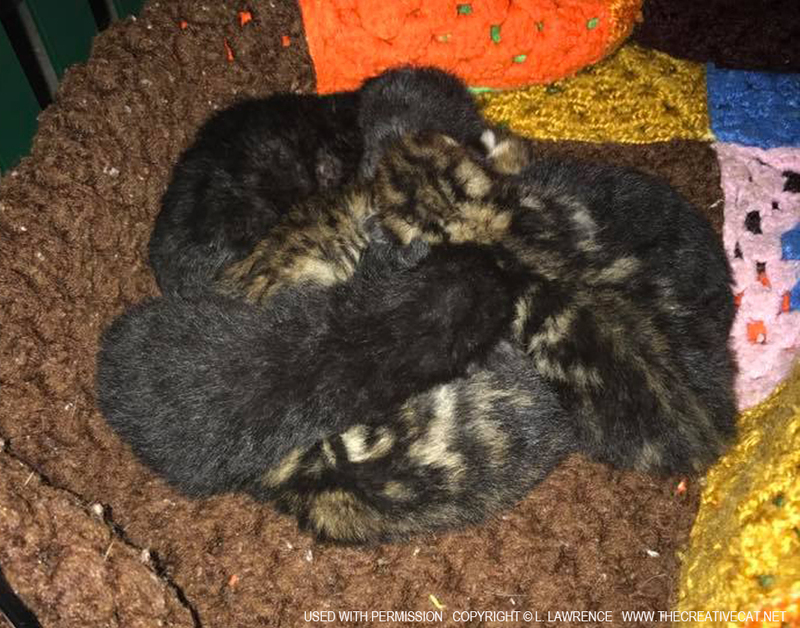 BCHS doesn’t have the capacity to care for abandoned litters of kittens full-time, but they could feed them and clean them up until a foster home was found. BCHS works with the Homeless Cat Management Team (HCMT) and Pittsburgh C.A.T. when they have cats with needs their shelter can’t fulfill. 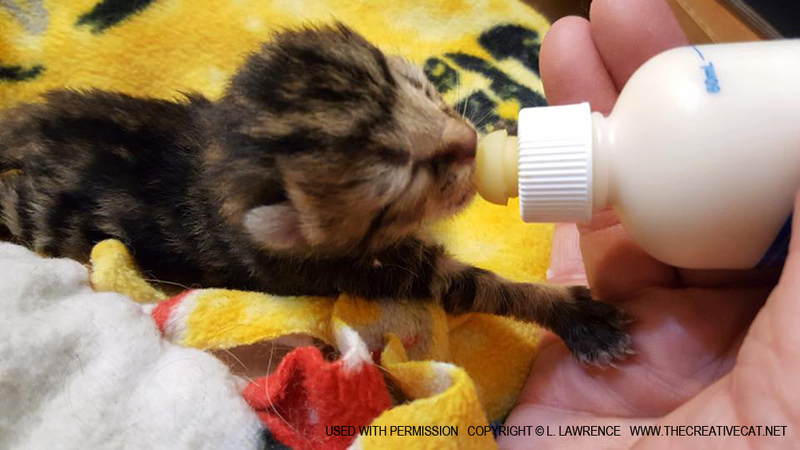 “We have a collaborative relationship with HCMT and will contact them about our hard case behavior kitties, kittens without mamas that may need bottle fed or we’ll trade ferals for friendlies to avoid euthanasia,” Shannon explained. In this way, volunteers with HCMT and Pittsburgh C.A.T., who regularly work with cats rescued off the streets to socialize and ready them for adoption, can surrender socialized and adoptable cats to BCHS and accept the cats from BCHS who in the past might have had to be euthanized because no one could easily handle or care for them and they couldn’t safely be placed before the public. Shannon sent a couple of messages to Margo Cicci Wisniewski, volunteer and board member for HCMT and volunteer for Pittsburgh C.A.T., that day, one earlier about four abandoned kittens, then just a short while later about the litter of six abandoned newborns—this is what “kitten season” is all about—and Margo found fosters for both litters. Shannon transported them to Margo, the fosters came for both litters, and the six kittens were reported to be active and “good on the bottle” despite being smaller than usual. Another of the black kittens. One of the black kittens. Margo was happy to have found fosters who would be setting an alarm to wake up through the night and attending the kittens every day, bottle feeding every two hours, stimulating them to go to the bathroom, cleaning them up as needed and nurturing them as a mother cat does, for the next several weeks. But she kept wondering about the mother cat. “She’d be looking for her kittens,” Margo said. Despite all the care we can give them, kittens do best with their mother. “She’s also out there able to reproduce again,” she remarked. For that reason, whenever abandoned kittens are reported or found, everyone involved makes an often successful effort to find the mother and reunite her with her kittens and spay the mother. It seemed hopeless, though—how in that huge complex was she going to find a mother cat she’d never seen, who might not be in any way friendly, and who might not even be alive? What kind of a cat would be unconcerned about planes taking off above her head and all the traffic and noise that was part of the operation of an international airport? Would Margo even be permitted on airport property to set traps and sit to watch them? She just had to give it a try. “Shannon called and asked the woman where she had parked. She knew exactly where her car was and described it perfectly,” Margo said, even the exact space where her car had been parked. 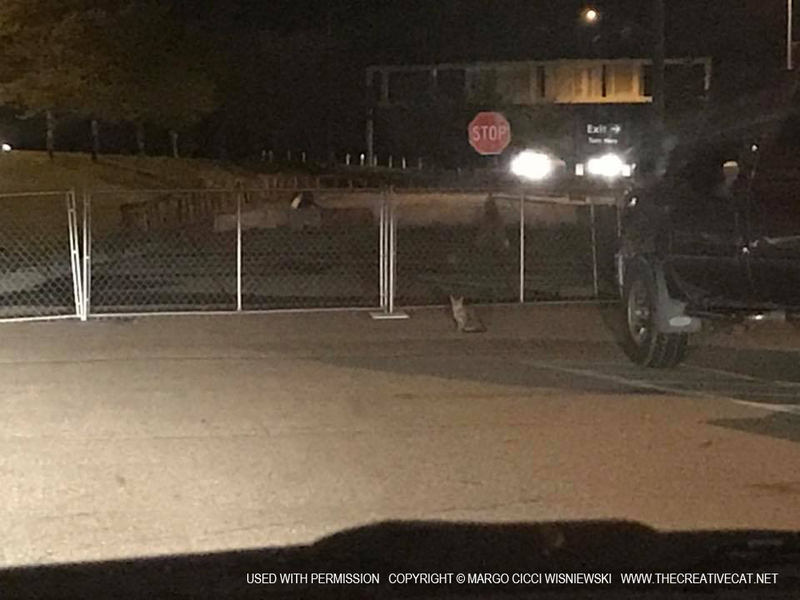 Margo spoke with a friend in airport parking who told her that area would be okay for her to set her trap and sit to wait. 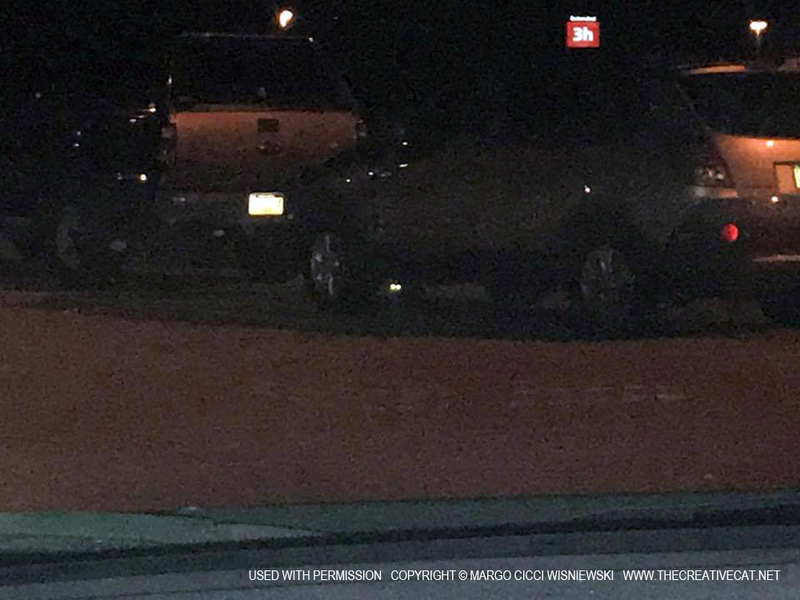 So Margo cancelled plans for that night to take her shift caring for cats at the HCMT clinic to drive to the airport, set a trap in that area of the lot and in the ravine behind the parking lot, took a picture and shared it on Facebook, the first time the situation was mentioned outside of private conversations. Then she sat back to wait. “I played kitten music, her own kittens and from YouTube,” Margo said, referring to the practice of playing recordings of hungry kittens mewing to attract nursing mother cats. The kittens’ foster had recorded them when they were hungry and sent the video to Margo to use to help attract the mother cat, and YouTube has plenty of videos to use as well. Margo walked around with the phone playing the sounds, then set it on the trap for a while. 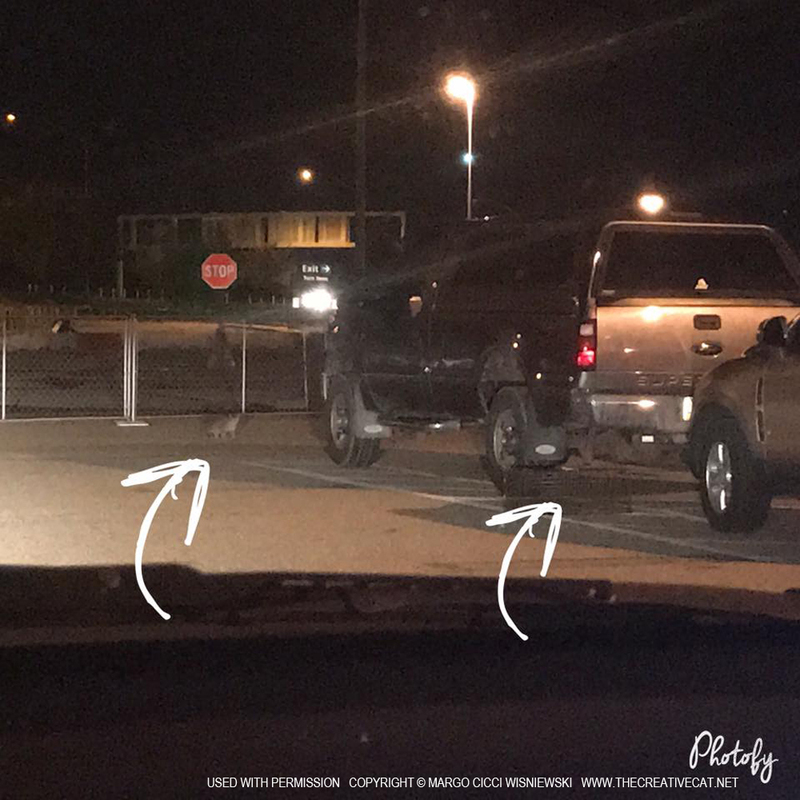 “I drove around a little loop, and as I pulled back into my spot I saw a cat under the car in the space where the woman’s car had been parked,” she said, and shared that photo too. Margo couldn’t tell if the cat had signs of nursing, but what other cat would show up right there except a cat who was looking for her kittens? Margo texted with a friend for ideas and moved the trap from the ravine closer to her own truck. The cat didn’t move at all with this, but disappeared when Margo’s back was turned. A cat’s eyes under the car. “Oh, no,” she said, but she wasn’t going to give up when the cat was actually there. Often trapping cats means waiting hours and watching a cat warily walking all around the trap and you, so patience and time are part of the process. “I moved the trap by the car that was in the space where the original car had been, rebaited the trap with a trail of food leading into it, sat in the car and played kitten sounds,” she said. The cat reappeared, looking around. “I was joking with my friend, like the cat was saying, ‘I thought I put you in a blue car! Where is the blue car? !’ ” Margo laughed. Mom cat checking out the trap. The cat sat at the head of the parking spot looking at the trap. 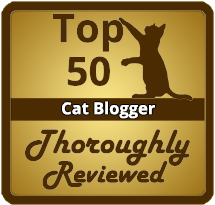 She crept toward the it, ate the little trail of food, slowly moving into the trap, and each time she took a step the cat would stop and look up at Margo, who just stayed in the truck and hoped for the best. Mom cat eating the trail of food. “Then she went into the trap and kept eating, the trap closed behind her and she just kept eating, she didn’t panic, so I covered her, scooped her up and brought her home,” Margo said. A feral or unsocialized cat would fight being in the trap and bounce around trying to get out. The fact she wasn’t concerned about the trap meant she was a friendly cat. 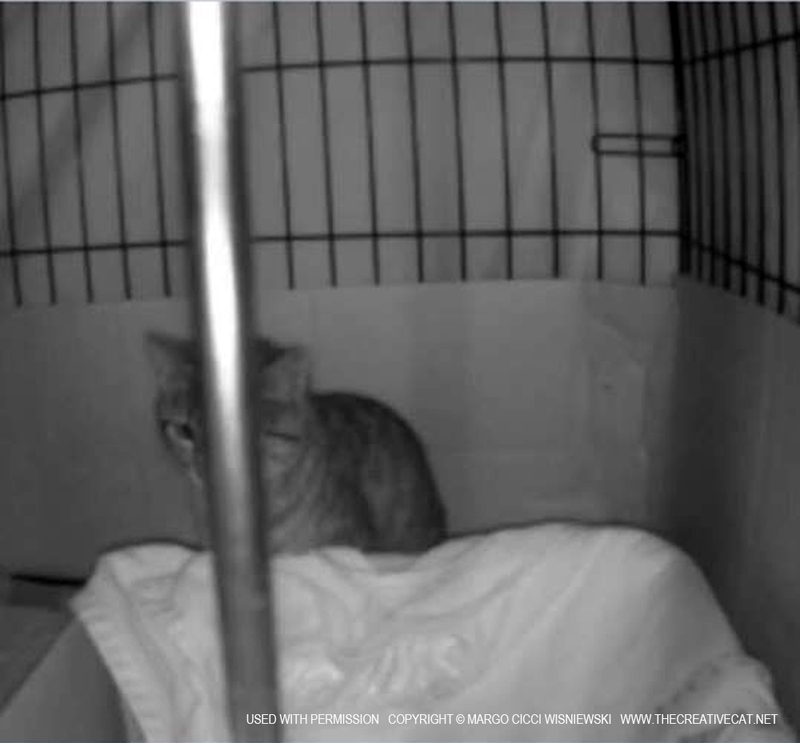 Margo placed the tabby cat in a cage in her basement foster room. The kittens’ foster transported them to Margo’s house and they placed two kittens in a box inside the cage with the cat Margo had trapped, who acted as if she had no idea what the little squirming, screaming things were. Looking at the kittens like they are foreign creatures. “This was not good,” Margo said. There was a chance this cat was not the kittens’ mother but for how she’d shown up at the sound of her kittens mewing, and what other cat would be out there anyway? 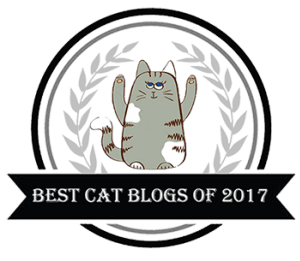 They resolved to give the cat time to recover from losing her kittens, being trapped and transported and ending up in a strange place that smelled of a lot of other cats, and her kittens no doubt smelled like a whole lot of humans who’d been handling them. A stressed mother cat might reject her kittens, or even harm them, in circumstances like this, so Margo and the foster decided to take it slowly, and watch the cat until she made moves one way or the other. The time was already near midnight and the two had a potentially long night ahead of them, but in a few hours the cat had reached out to the kittens, nuzzled them, checked them over, started to bathe them, the other four were added and soon the kittens were nursing and the mom was purring, and the little family was reunited. 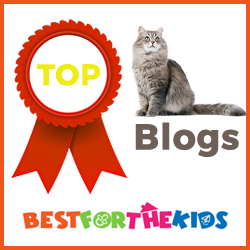 The mother is very friendly, and the kittens are very strong for their size and number. They will be up for adoption in 10 to 14 weeks. Rescues like this one are a little out of the ordinary, but volunteers for HCMT and Pittsburgh C.A.T. 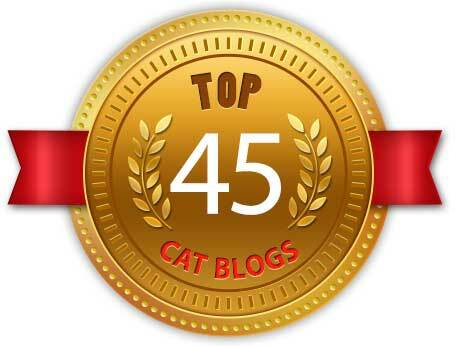 answer the call every day to rescue cats and to help others provide the needs for cats living outdoors with low-cost or free spay or neuter and low-cost veterinary care, loan of traps and instruction for how to help the cats in their care. 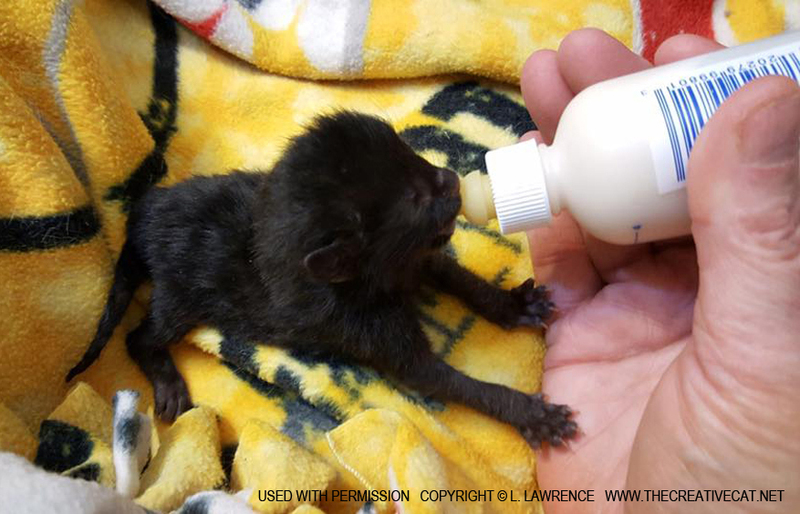 Whether it’s a mother cat with a half dozen kittens or a trailer park with 50 cats running loose and reproducing, HCMT’s goal is to assess the cats and develop a plan that provides the best care whether they are friendly or feral or injured or ill. 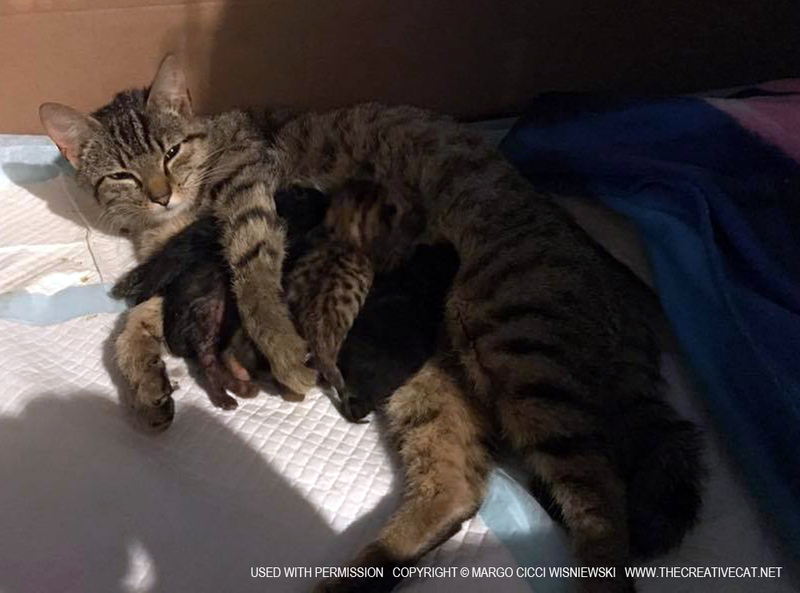 Recently HCMT assisted the Pittsburgh Police with removing and accepting into care a dozen cats from a hoarding situation in Lawrenceville, the fifth such assist they’ve given since last May when over 50 cats were found abandoned and starving in a house in Brookline. Often cats in hoarding cases are simply kept as evidence or killed if no charges are pressed because they are traumatized, often ill and needing care as the Brookline cats were, and are considered unadoptable. In that rescue Officer Christine Luffey was so impressed with the professionalism volunteers showed at every stage of the rescue, and at the care given to the cats including their successful adoptions, that as the humane officer often called when hoarding is involved she now calls on the Homeless Cat Management Team to meet her at the site and to help manage the cats found at the scene. 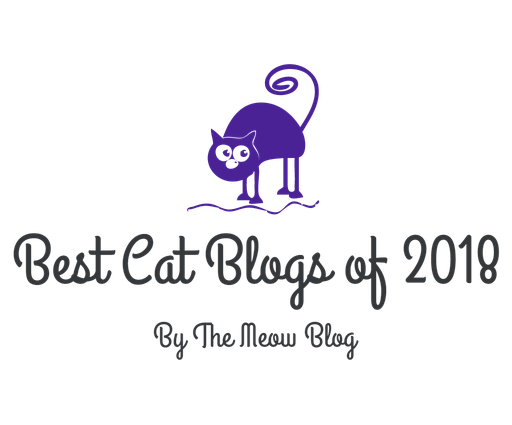 HCMT is a freestanding all-volunteer organization whose mission is to reduce the population of cats living outdoors without human care as well as low-cost spay/neuter and veterinary care to pet cats. The organization does that by providing TNR or trap-neuter-return of cats living in colonies outdoors with caretakers. An important part of the success of TNR in reducing the population of cats living on the streets is removing all friendly cats and kittens of age to socialize. HCMT’s sister organization Pittsburgh C.A.T. was founded to foster and adopt those cats and kittens taken in from these rescues. HCMT spays and neuters over 1,000 cats each year at its clinics, Pittsburgh C.A.T. fosters and adopts about 500 cats and kittens each year. The need for these services never ends and is found in urban, suburban and rural areas. HCMT and Pittsburgh C.A.T. serve Allegheny County and all the counties surrounding it. Donations of money and goods are always welcome, and please join HCMT and Pittsburgh C.A.T. for our second annual spaghetti dinner fundraiser on May 21, at 3:00 p.m. at J Verno Studio on the South Side. Tickets are available in advance by visiting the website at www.homelesscat.org. And a special thanks to the Beaver County Humane Society for their collaboration with HCMT and Pittsburgh C.A.T. that saves lives! HCMT/Pittsburgh C.A.T. Spaghetti Dinner, buy tickets now! Help us help cats and join us at our second annual spaghetti dinner! holy heck….that is quite the adventure!!! so glad everyone is safe and back together. You can’t make this stuff up, Jeanne! 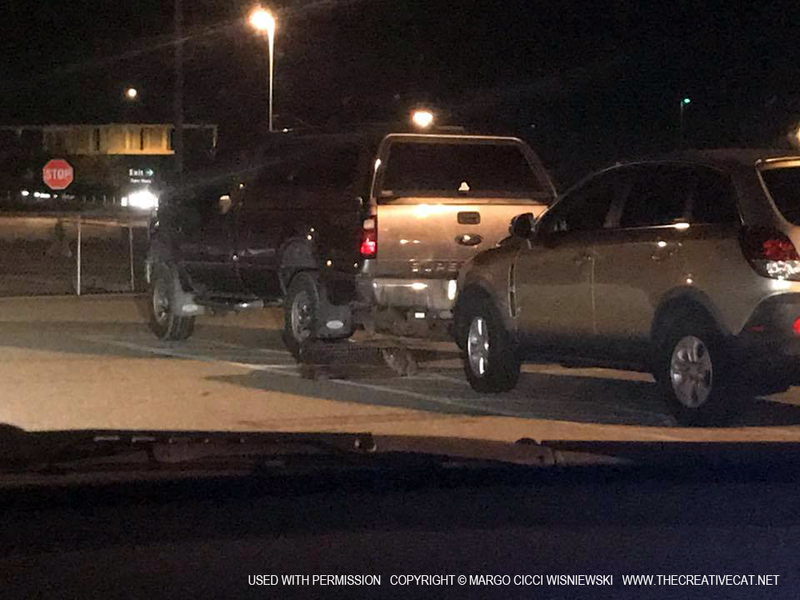 I caught the story with Margo’s first post from the parking lot and followed overnight. What are the chances? Imagine the stories those wee ones will tell, Tabbies! This was very fun to write too! I love these people! Wow, what a great rescue story! Thanks for telling us about it, Bernadette, and thanks to the whole team of people who rescued the precious family. Susan, I’m still kind of in shock!